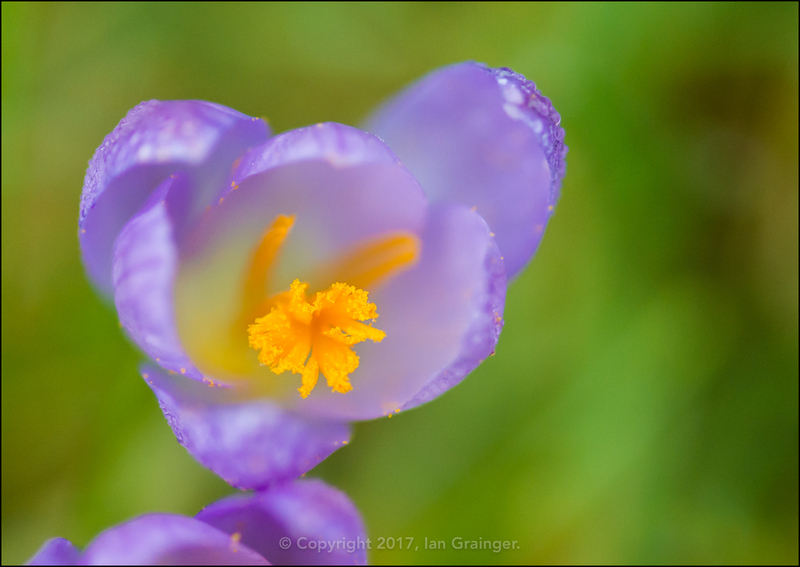 This week we are starting off in my garden, where I finally have a flower to show you! 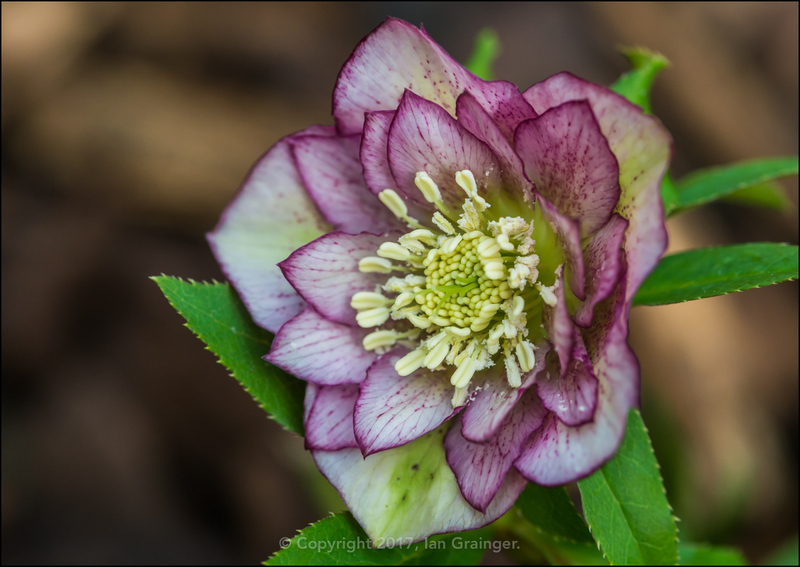 So, drum roll please, I present to you my first Hellebore (Helleborus) of the year, which is of the variety 'Double Ellen'. 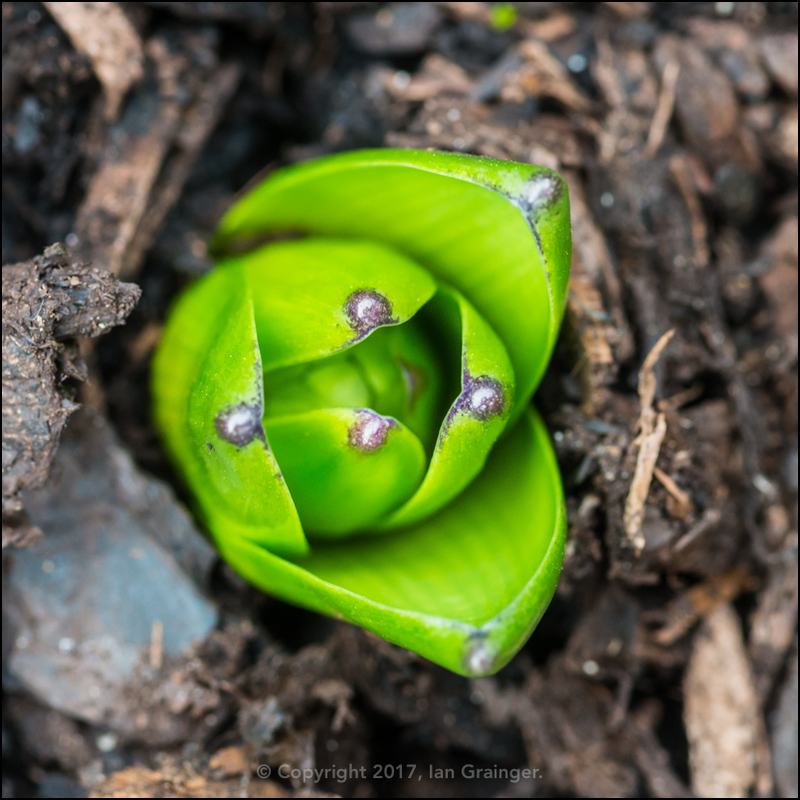 I was actually quite surprised to see this, as I'd only received the plants as small plug plants a couple of weeks ago, and hadn't expected them to flower quite so soon - if at all this year. ...as were the Iris (Iris reticulata) 'Harmony'. 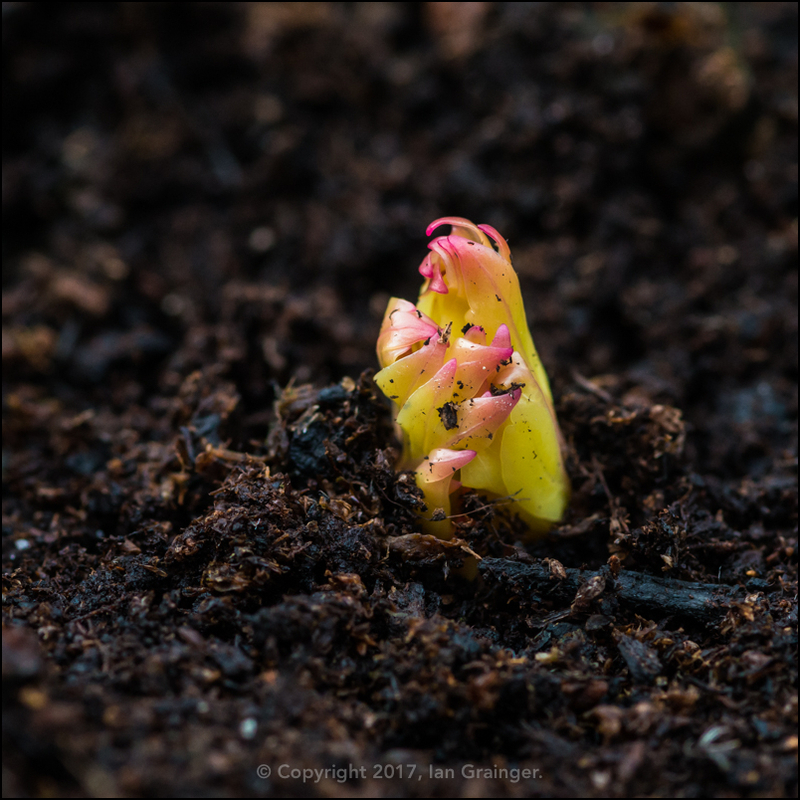 My second Chinese Peony (Paeonia lactiflora) was also showing signs of life, this one being a variety called 'Shirley Temple'. 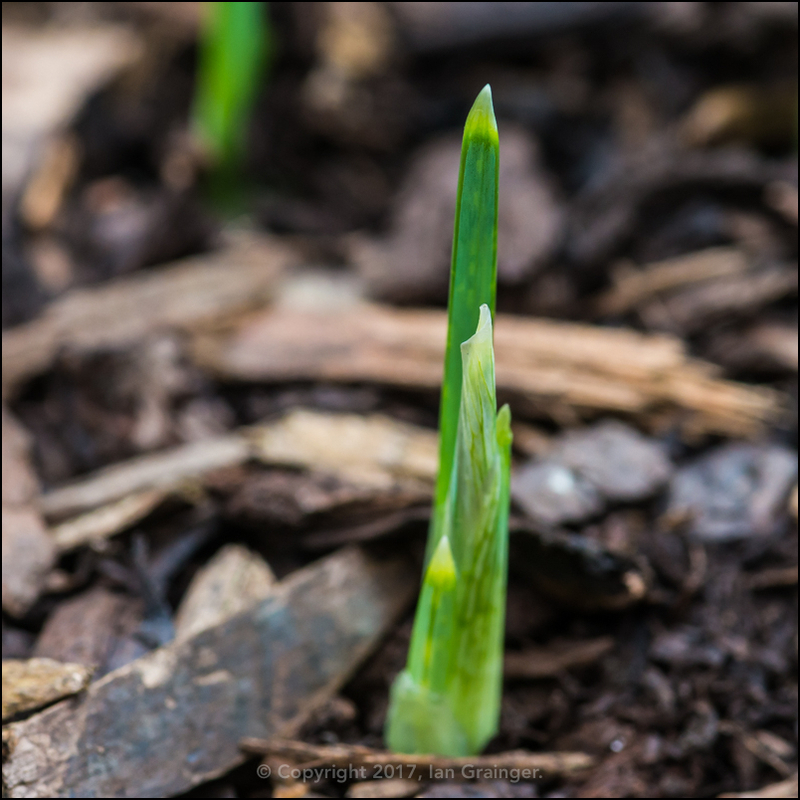 The plants weren't the only things in my garden that were stirring into life. 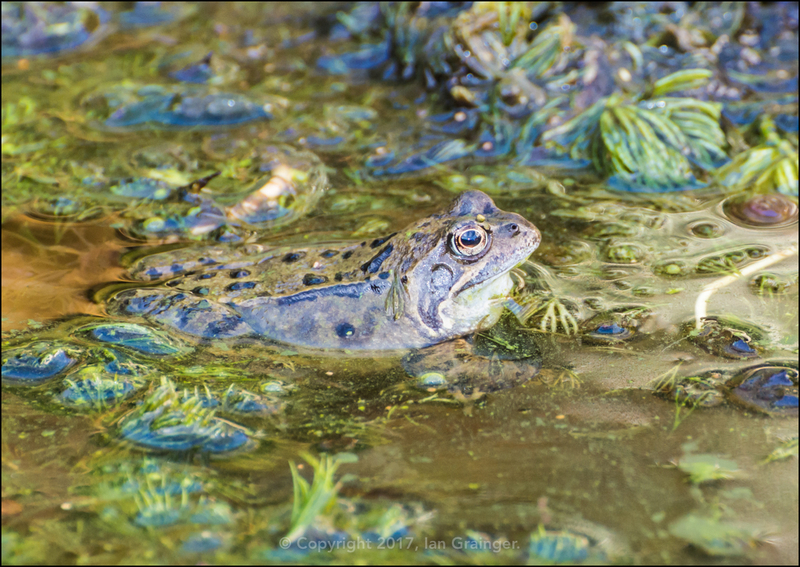 The pond was a frenzy of activity with frisky Frogs (Rana temporaria) doing what comes naturally for most of the day! 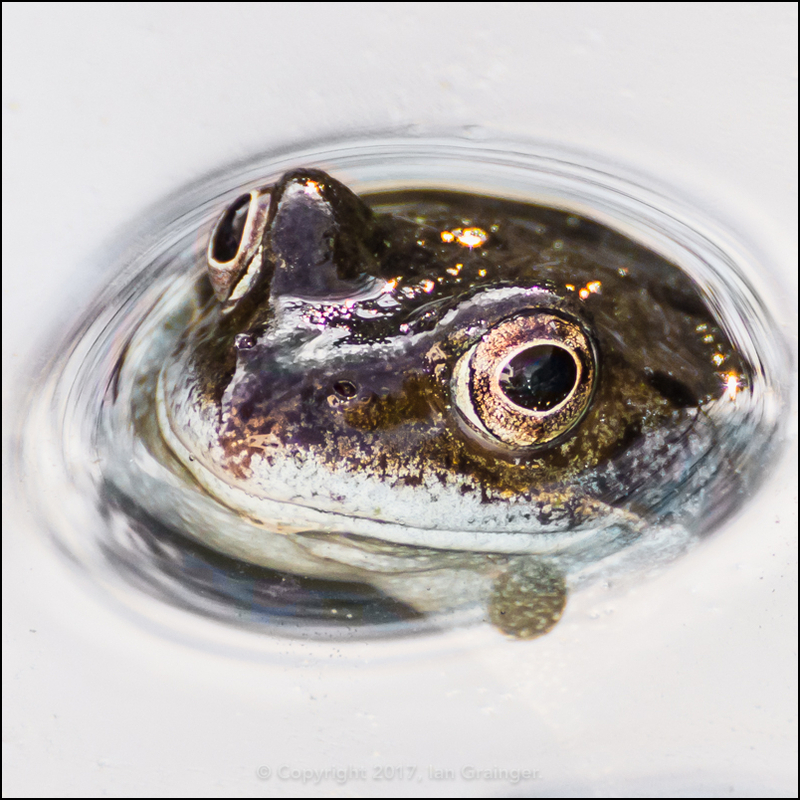 ...ensuring predators didn't come in and eat their precious developing offspring. Meanwhile over in dad's garden, the flowers seemed to be a few weeks further on than my own. 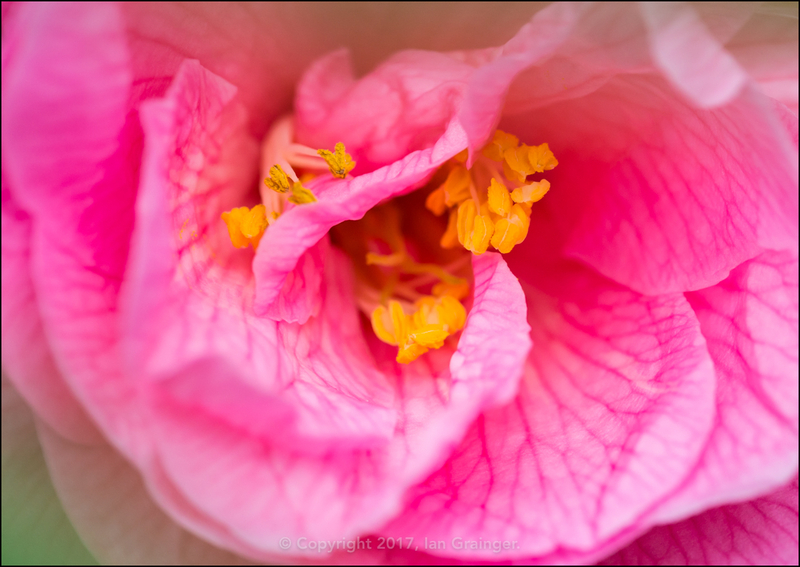 The Camellia bush had finally broken into bloom, and was the first of a trio of new flowers. 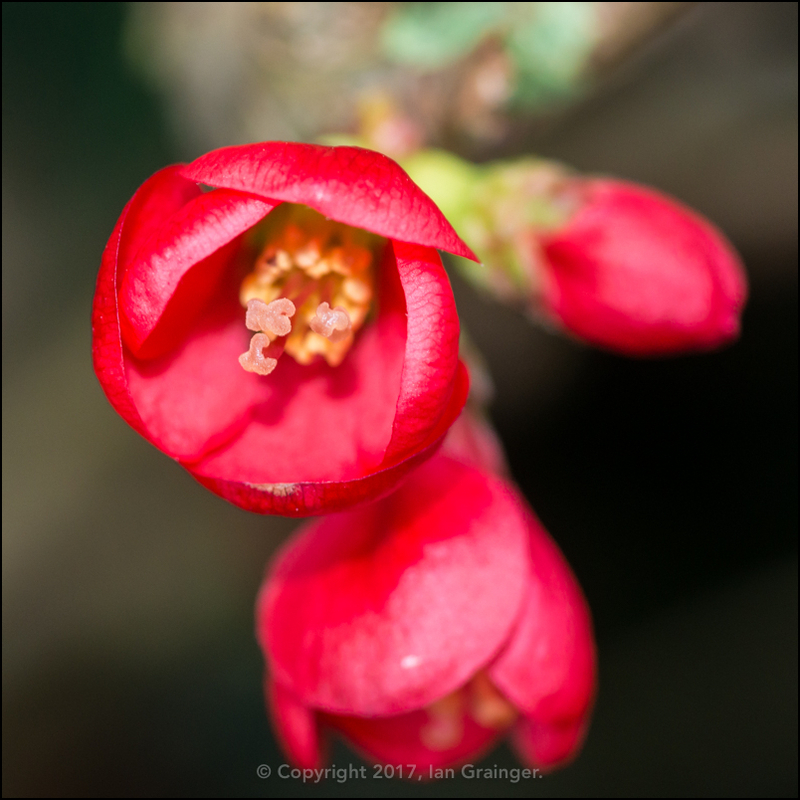 The flower buds from the second Flowering Quince (Chaenomeles) bush had also started to open up and reveal their pretty dark red flowers. 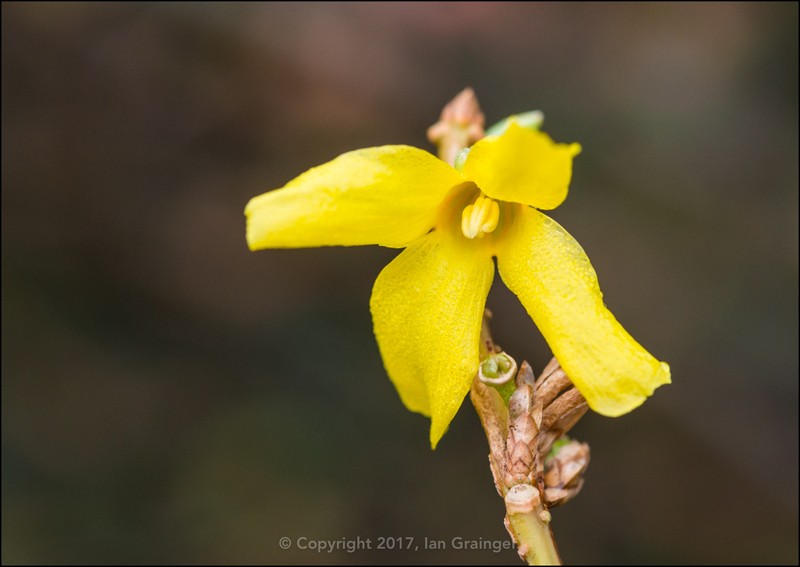 The Forsythia (Forsythia intermedia) flower buds were also opening at a rate of knots, and I predict that within a couple of weeks, the whole bush will be covered in these bright yellow coloured blooms. 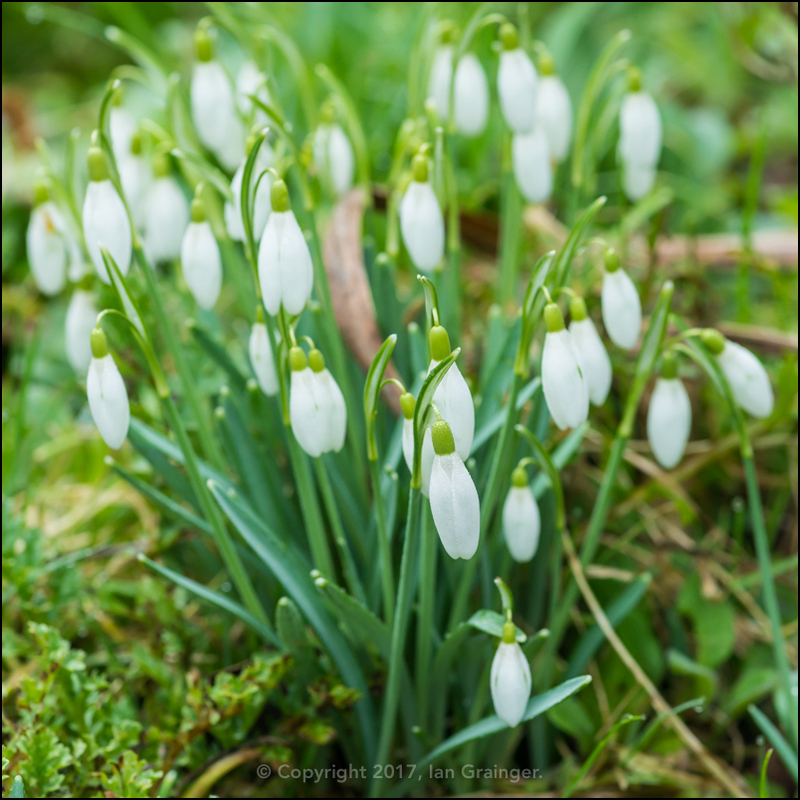 ...and the Snowdrops (Galanthus) were forming many more clumps than there had been in the past. 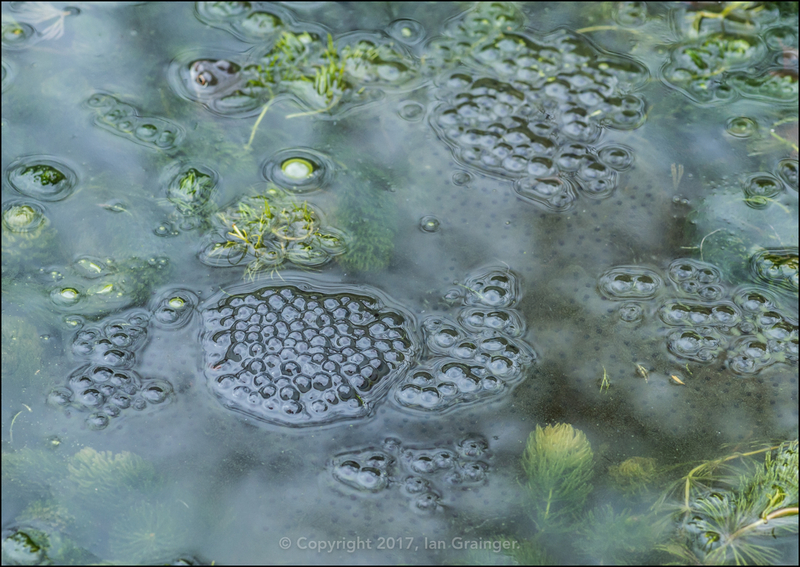 This was good news for me, as I was eager to break up a few of the clumps and transport them back to my own garden! 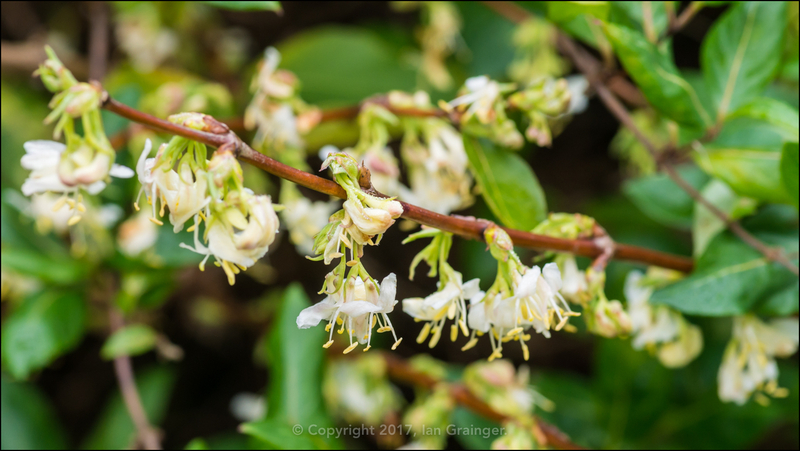 The Winter Honeysuckle (Lonicera fragrantissima) was now putting on a marvellous display, and as well as looking nice, the flowers provided a treat for the nose when standing nearby. 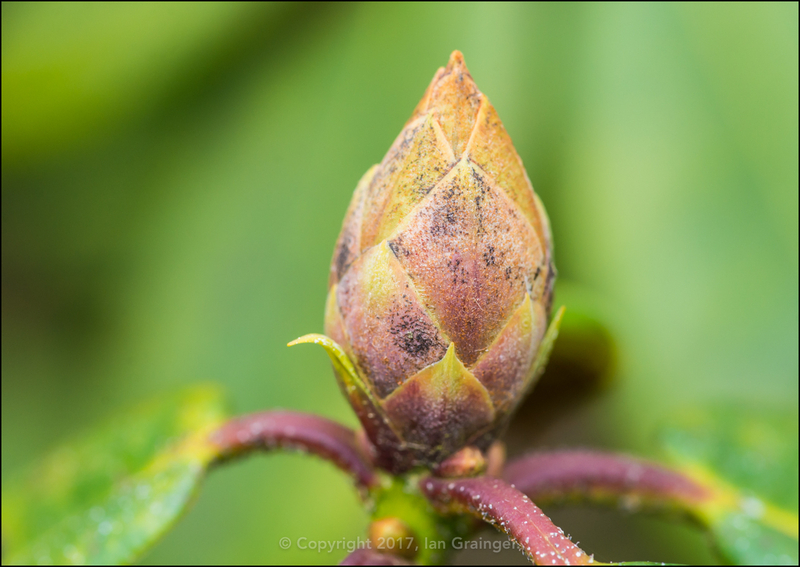 With the Camellia already flowering, it was tempting to think that it wouldn't be long before the Rhododendron's followed suit. However, looking back into my photo archives revealed that this particular bush never flowers before April, and sometimes not even until May! 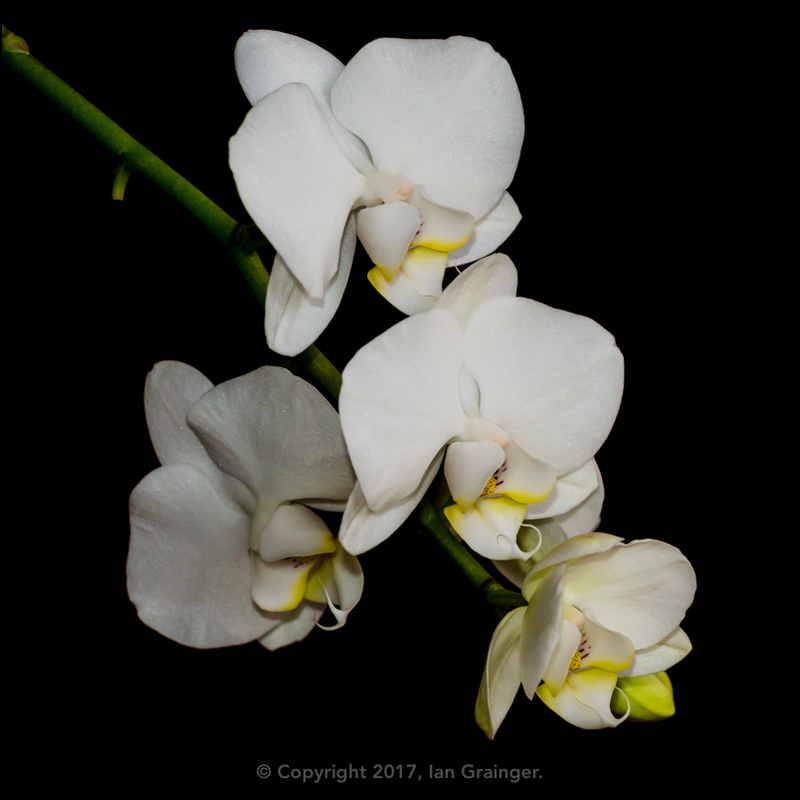 Indoors at dad's, the final flower buds of the Moth Orchid (Phalaenopsis) plant I'd been keeping track of for the past few weeks had opened - although there were now two new flower stems to look out for. Finally, what of my photogenic furry photo follower? Well, this week he seemed to be in a dreamworld on his comfy sofa! 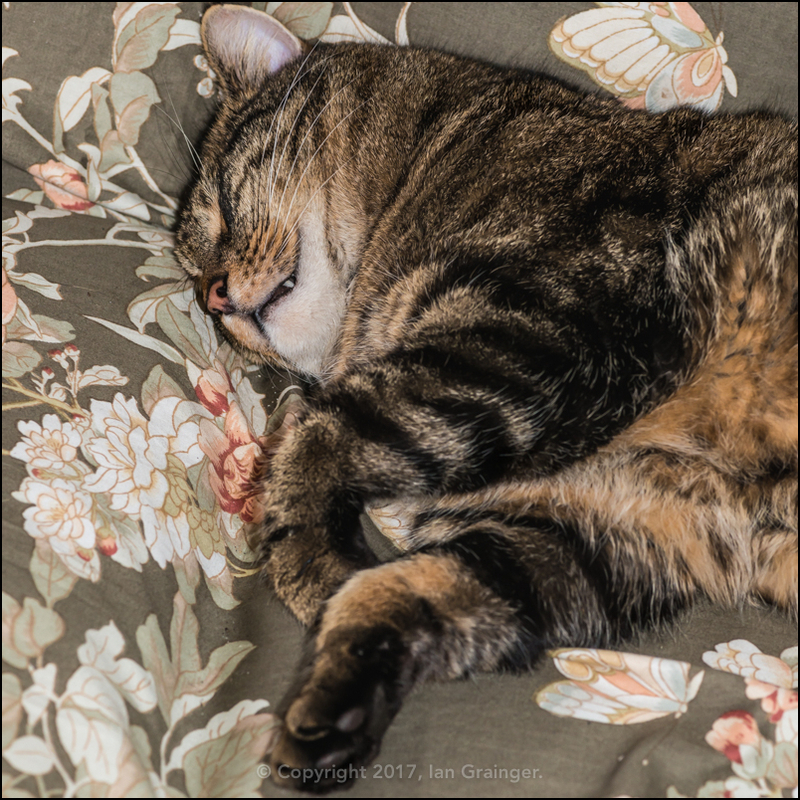 As he slept away the morning, his eyelids fluttered, he purred and meowed, and his front and back legs moved furiously as he chased down something in his dreams.